The truth of that fact was front and center for me on D-day and in the months and years since. I would be screaming in anger and pain while my husband would stare at me, mute. Then I would dissolve into a shapeless mass of tears and agony while he again would sit, mute. On other occasions, I would beg and plead for answers while my husband would stare at me like I was an alien, seemingly emotionless. There were times I wanted to shake him into showing me emotion, any emotion. I wanted to see him cry, hear him beg for forgiveness, feel that he hurt over his deplorable actions. An article in Science Daily, January 20, 2015, gave the highlights of a scientific study about the emotional differences between the sexes. “Men and women process emotions differently” according to the study. The article stated that “the researchers were able to demonstrate that females rated emotional image content – especially negative content – as more emotionally stimulating than their male counterparts did.” Earlier studies have shown that the more emotional a situation is the more likely a woman is to remember it compared to a man. Maybe that’s why when betrayed women beg for the answer to the question “why” or we ask for intricate details about the affair, our husbands say over and over again, “I can’t remember.” It’s more than having the ability to compartmentalize, as mentioned in my previous blog article. Men are simply wired differently than women are. We are wired to remember, feel and relive the pain of discovery. Maybe they are wired to forget. Or maybe they’re choosing to not remember or relive it as they don’t’ want to cause us more pain. No wonder we feel as if we’re from different planets! Those male/female differences can only be heightened when the trauma of infidelity is brought into the relationship. That’s a lot to ask while navigating the quagmire of infidelity and recovery. In fact, it’s almost impossible to keep all the pain nice and neat. I vented my pain, fear and disgust to my husband so many times it’s amazing that I still have a voice. I’m amazed that he rarely became defensive. The EMS Online class helped him see that defensiveness will only exacerbate things between us. While I work to refrain from shaming him, he works to minimize his defensiveness. Both of our instinctive responses not only complicate the entire process, but they also frustrate the heck out of us. It’s human to expect our husband’s to react and behave the same way we do. I’m paralyzed by my pain so how can my husband go about his daily tasks as if nothing has happened. I need to talk and learn and discuss and figure out his motivations so how can my husband simply shrug his shoulders and barely utter the words, “I don’t remember”. I’m a trembling mass of tears so how can my husband just sit there looking lost and confused. I can go on but you get the idea. 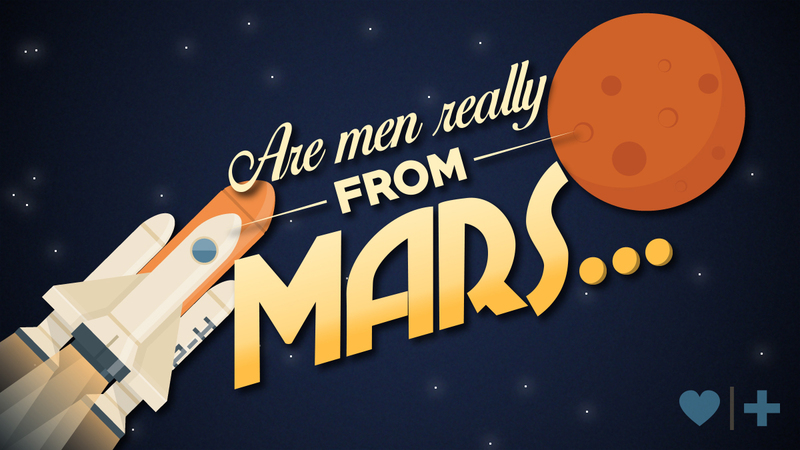 Men might not be from Mars but they can definitely hide in outer space emotionally at times, especially during the emotional pain of affair recovery. We may not be from Venus, but we can absolutely appear from another planet in the way we process our pain and trauma. Understanding that this is natural and normal has helped me a lot over the past nearly three years of recovery. I hope it can help you as well. As I’ve said many times, you’re stronger than you think, braver than you believe. Stay strong in your recovery and remember; you are not alone.